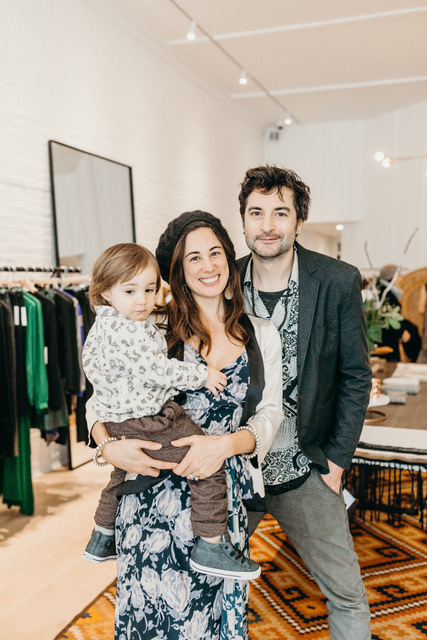 Owners Bebe and Daniel opened doors in November 2017. Our newly renovated space is located in historic downtown Nevada City, California. Luxe Nomad Collective is the conscious curation of women artists and visionaries. We proudly support the slo-fashion movement and fashion revolution. Each collaboration is a personal connection and we offer one of a kind, small batch, ethical and sustainable production. Please read the designer bios and follow us on instagram as we feature the story of each woman's journey and design process. Daniel, an Englishmen, discovered Nevada City while on his first pilgrimage to Burning Man in 2007. Fast forward ... Daniel meets Bebe, a native Californian who grew up in Oakland and also lived in New Orleans. They fall in love, get married and now raise their little boy in this gem of a town.